The latest issue of Ornament arrived while I was in South Carolina and is a treasure trove of inspiration. The back cover features, as usual, Carter Smith. 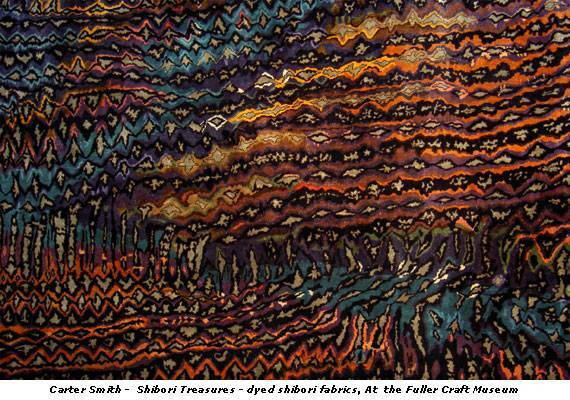 I am always amazed at the beautiful designs and color combinations that he achieves with the shibori technique.